[151 Pages Report] The overall electrostatic precipitator market is expected to grow from USD 5.8 billion in 2018 to USD 7.0 billion by 2023, at a CAGR of 3.97%. The study involved 4 major activities in estimating the size of the market. Exhaustive secondary research was done to collect information on the market, peer market and parent market. The next step was to validate these findings, assumptions, and sizing with industry experts across value chain through primary research. Both top-down and bottom-up approaches were employed to estimate the complete market size. Thereafter, market breakdown and data triangulation were used to estimate the market size of segments and subsegments. The research methodology used to estimate and forecast the electrostatic precipitator market begins with capturing data on revenues of key vendors in the market, through secondary research. This study incorporates the use of extensive secondary sources, directories, and databases, such as Hoovers, Bloomberg Businessweek, Factiva, and OneSource, to identify and collect information useful for a technical, market-oriented, and commercial study of the market. Vendor offerings have also been taken into consideration to determine the market segmentation. The entire research methodology includes the study of annual reports, press releases, and investor presentations of companies; white papers; and certified publications and articles from recognized authors, directories, and databases. The electrostatic precipitator market comprises several stakeholders, such as suppliers of standard components and original equipment manufacturers (OEMs). The demand side of this market is characterized by the development of power and electricity sectors; metals, cement, and chemicals; among other end user. The supply side is characterized by advancements in types of electrostatic precipitators and diverse applications. Various primary sources from both the supply and demand sides of the market have been interviewed to obtain qualitative and quantitative information. Following is the breakdown of primary respondents. After arriving at the overall market size using the estimation processes as explained above the market was split into several segments and subsegments. To complete the overall market engineering process and arrive at the exact statistics of each market segment and subsegment, data triangulation and market breakdown procedures have been employed, wherever applicable. The data have been triangulated by studying various factors and trends in both the demand and supply sides in the electrostatic precipitator market. General Electric (US), Mitsubishi Hitachi Power Systems (Japan), Siemens (Germany), Amec Foster Wheeler (UK), Babcock & Wilcox (US), Thermax Global (India), Ducon Technologies (US), Fujian Longking (China), Hamon Group (Belgium), and Trion (US). This report categorizes the electrostatic precipitator market based on type, end user, offerings, and region. What are new application areas which the electrostatic precipitator providers are exploring? The overall electrostatic precipitator market is expected to grow from USD 5.8 billion in 2018 to USD 7.0 billion by 2023, at a CAGR of 3.97%. Tightening air pollution control regulations, growth in coal-fired power plants, and growing environmental concerns are the key factors driving the growth of this market. Dry ESP type accounts for the largest share of the electrostatic precipitator market. The market dominance of dry ESP type, in terms of size, can be attributed to its ability to withstand high temperatures and high particulate volumes, cost-effectiveness, and low electricity consumption. The market for hardware & software offering accounts for the largest share of the electrostatic precipitator market. The high requirement for hardware parts and software in several types of electrostatic precipitators has contributed to the leading position of the hardware & software segment, in terms of market size. Hardware components, such as discharge electrodes, high voltage electrical systems, collection electrodes, hoppers, rappers, and shell, are the building blocks of electrostatic precipitators and are elemental for their proper functioning. Power & electricity industry accounts for the largest share of the electrostatic precipitator market. Electrostatic precipitators are used by power & electricity generation companies across the world due to offered benefits in terms of better performance, improved particulate collection efficiency, and ability to handle large quantities of fly ash effectively. Implementation of these systems in thermal power plants and petroleum refineries has filliped due to enforcement of strict environmental laws and stringent emission standards, awarding the power & electricity industry the top spot in terms of market size. APAC accounts for the largest share of the electrostatic precipitator market. Increasing air pollution due to particulate emission, rapid industrialization, and presence of several thermal power plants and cement, steel, and chemical manufacturers in the region have led to increased demand for electrostatic precipitators in APAC. A few major companies in the electrostatic precipitator market are: General Electric (US), Mitsubishi Hitachi Power Systems (Japan), Siemens (Germany), Amec Foster Wheeler (UK), Babcock & Wilcox (US), Thermax Global (India), Ducon Technologies (US), Fujian Longking (China), Hamon Group (Belgium), and Trion (US). These players are increasingly undertaking contracts and expansions to increase their market shares. 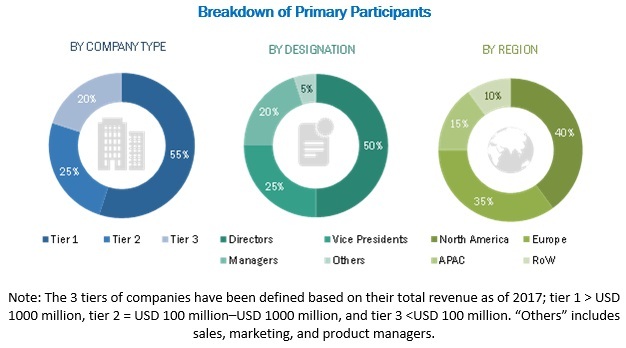 Prominent players have adopted contracts, followed by expansions, as the key business strategy to strengthen their position in the electrostatic precipitator market. For instance, in November 2017, General Electric Company (US) delivered an electrostatic precipitator to replace an old air filtration system at a copper mine in Australia. In May 2017, Mitsubishi Hitachi Power Systems, Ltd. (Japan) opened its new office in Warsaw, Poland, to strengthen its position in the European region. In April 2018, General Electric (US), along with its subsidiary Alstom Power Systems (France), received contract as the lead EPC (engineering, procurement, and construction) to construct coal power plant in Ostroleka C, Poland, involving delivery of electrostatic precipitator. Similarly, in November 2017, the company delivered electrostatic precipitator to replace an old air filtration system at a copper mine in Australia. Moreover, the company has adopted inorganic growth strategies to strengthen its position in the electrostatic precipitator market. For instance, in November 2015, the company acquired power and grid business of Alstom, a French rail transport player, at a total cost of USD ~13.71 billion, enabling the company to enhance its technological capability and customer base in the power sector. In June 2018, Mitsubishi Hitachi Power Systems (Japan) received contract to upgrade environmental system at Boryeong Power Station, managed by Korea Midland Power Co., Ltd., South Korea. Similarly, in August 2017, the company received an order to supply electrostatic precipitator along with gas turbine and power generator to a power plant owned by Anshan Iron and Steel Group, a Chinese steel manufacturer. In January 2017, Babcock & Wilcox (US) acquired Universal Acoustic & Emission Technologies, a US-based acoustic and filtration solution provider, enabling the company to strengthen its environmental solution offering. Babcock & Wilcox has positioned itself to continue diversifying and expanding its product portfolio, thereby expanding its global reach. What are the upcoming trends in the electrostatic precipitator market? What are the opportunities for the various players present now, and those planning to enter at various stages of the value chain? How the inorganic growth strategies implemented by key players will impact the growth of the electrostatic precipitator market, and who will have the undue advantage?